Google was purchased from Warringa Herefords privately in 2013. An easy doing bull that is siring cattle with his same growth, length, depth of body and pigment. Google has sired the 2016 and 2017 Grand Champions at the Wodonga National, as well as the Top Price Horn Bulls in our Annual Sale. His daughters are exceptional breeders in our herd. Google is a trait leader for 200D, 400D, and 600D on Breedplan. $52,000 for GP Knockout K160 at the Hereford National (Wodonga) to Yarram Park and Cara Park Studs. $32,000 for GP Lassoo L137 at the Hereford National (Wodonga) to Devon Court Herefords, QLD. 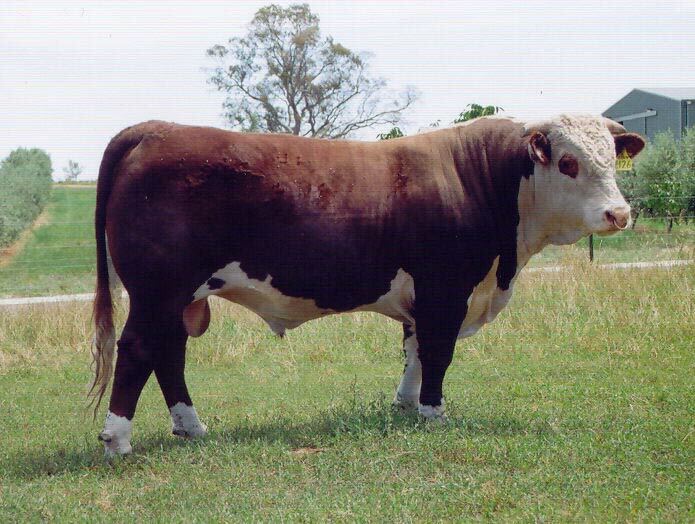 $22,000 for GP Mason M106 – Top Price Horn Bull 2018 On-Property Sale to Ross Trethowan, NSW. 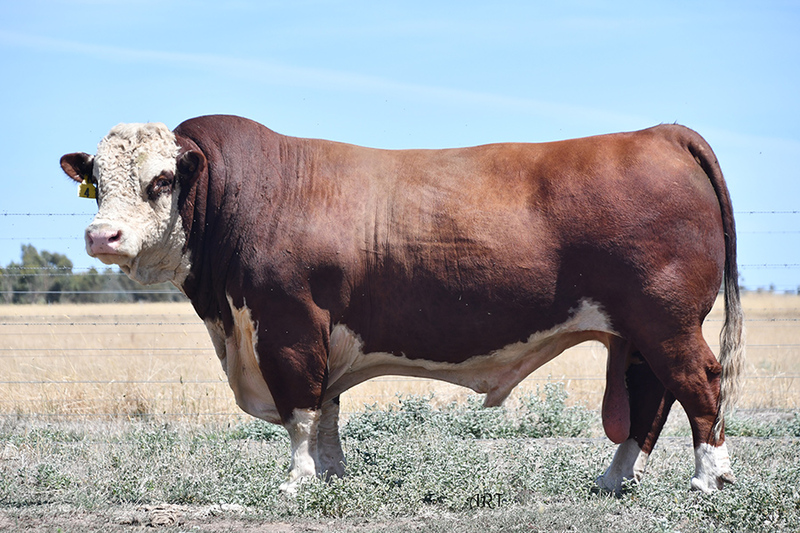 $14,000 for GP Lawson L139 – Top Price Horn Bull 2017 On-Property Sale to Marie Patton, Vic. Unique F107 is siring calves that are born small and grow out well. He is a trait leader for Gestation Length and 600D growth on Breedplan. 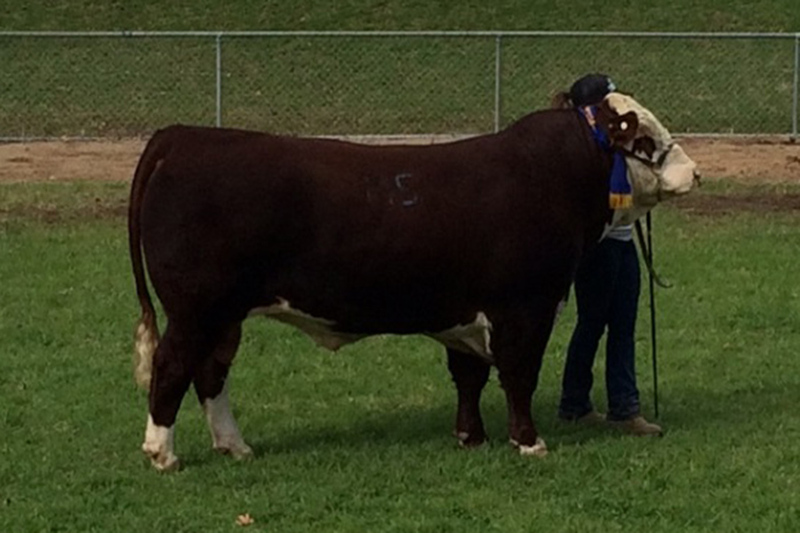 We purchased Unique at the Hereford National (Wodonga) 2015 for $24,000. Unique ticked a lot of boxes: structurally sound, with plenty of carcass and maternal strength. Unfortunately, we lost Unique during his first joining, however his calves exhibit low birth weights and sufficient growth. J142 daughters have excellent udders and milking ability. Unique is a trait leader for Gestation Length. 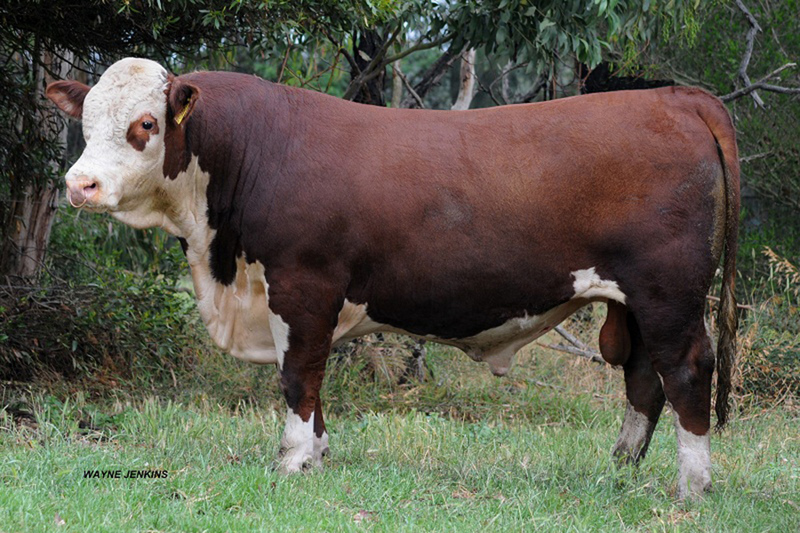 Civil War was the Junior and Grand Champion Bull at the Hereford National (Wodonga) in 2015. He displayed excellent growth, length, and structural soundness. At only 19 months of age, Civil War weighed 996kg and had and EMA of 136sqcm. Our first group of calves by him were born in 2018 and they are very promising. Dom Lad was purchased privately from Hyland Herefords in 2018. 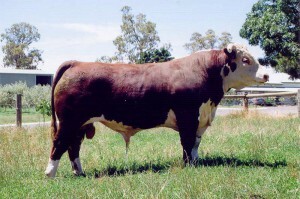 Dom Lad is a big, strong bull with great shape, carcass and length. He has an impressive proven IMF EBV of +2.4, which is Top 1% of the breed. We are very excited for his first crop of calves at Glendan Park in 2019. Wodonga National Record breaking $70000 bull sold to Ardno and Tondara Studs, son of Magnum, out of Glendan Park Moonbeam Z124, a quality bull breeding sound progeny that are thick, with great skin, hair, cosmetics, and strong EBVs for Growth, Milk, and EMA. Z124 undoubtedly the leading cow in the Glendan Park herd Z124 Link. Everest progeny will be available for sale in 2014. 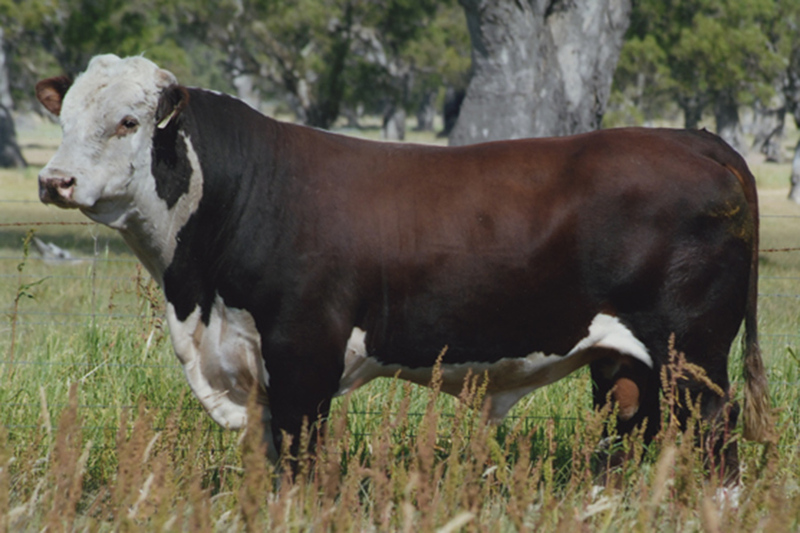 Purchased by Yarram Park and Cootharaba Studs for $62000, this bull is breeding a lot of style, carcass, and maternal strength along with strong EBVs for Growth, Milk and EMA. His dam was a fantastic Bundarra D Top Gun daughter with great udder and milking ability. First sons to be offered for sale in 2014.